Max Verstappen has been praised for his approach to his day spent with stewards at a Formula E race, as punishment for his confrontation with Esteban Ocon at last year's Brazilian Grand Prix. 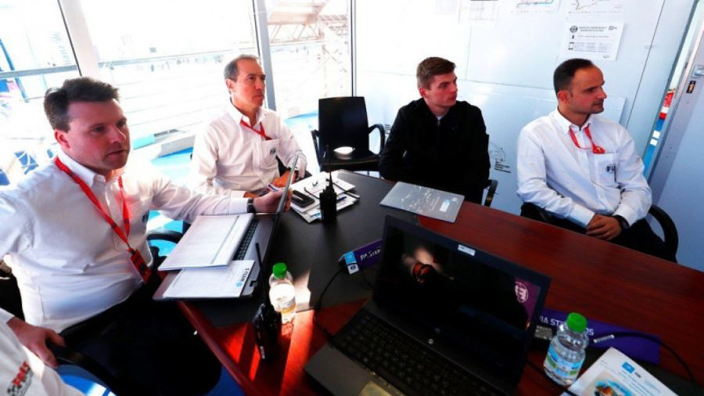 Verstappen was ordered to spend a day of 'public service' with the stewarding team at the Marrakesh E-Prix. Verstappen was punished after shoving Ocon in the weighing room – the Dutchman furious after a collision with the Force India driver cost him a near certain win. The Red Bull driver was ordered to serve the first part of a two-day sanction in Morocco. It remains to be seen how the FIA will order Verstappen to serve the rest of his punishment. Another Red Bull graduate, Vitantonio Liuzzi, was the drivers' steward for the all-electric race in Marrakesh, and praised Verstappen's approach to his penalty. Liuzzi told Autosprint: "I saw the true Verstappen and when we talked about him and his Formula 1 season, he did not insist on asserting his side of certain topics. "With us I must say that he always remained very focused. "Indeed, I believe he was 100 per cent involved in this experience. He was with the commissioners from seven in the morning until the end of the race, without ever taking a break. Sometimes you spend several hours without having anything to do. But he was good: never distracted, always focused."